As many of you may know, I am a contributing writer for the website The Sisterhood of the Shrinking Jeans. Every now and again, we have posts that require the reader to do a little homework. This just happens to be one of those times. Ann is one of our contributing writers and she has brought back a fun assignment from a few years ago. She would like us to write a letter to our future self about how 2015 turned out for us. Our job is to think ahead a whole year and what we would like to have seen happen to ourselves in 2015. So here goes.....future self, please make present self really happy. I think you can do it. You are going to be amazed at all the things you accomplished in 2015. Your 60 year old self was awesome. You are going to be so proud of yourself. Check it out. You started your year out with the 21 Day Fix and found out you loved it. You started on January 5 and when the 26th came around, you were inches and pounds lighter. You jumped right back on for another 21 days. You were without your Fitbit for a week and it was really hard. You hadn't realized how much you counted on it for motivation, but after a week it was back and all was good. 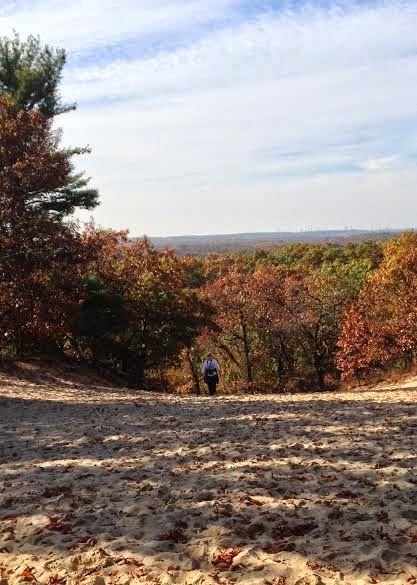 You made another climb up the 3 Dune Challenge and loved it in the snow. It was still hard, but so pretty. It was another Polar Vortex winter in northwest Indiana, so all of your exercise was inside. You pushed ahead and did your best. I know how you hate the treadmill, but you still did it. Your eating was going really well and you kept up with the 21 Day Fix and were still losing pounds and inches. The weather finally started to break a little and you got to get back to your outside walks that you love so much. Your first 5k of the year was Runnin with the Irish and you did great. Spring break took you to Arizona with your daughter Abby and you had a great time. The highlight was hiking in Sedona and of course, a Cubs spring training game! 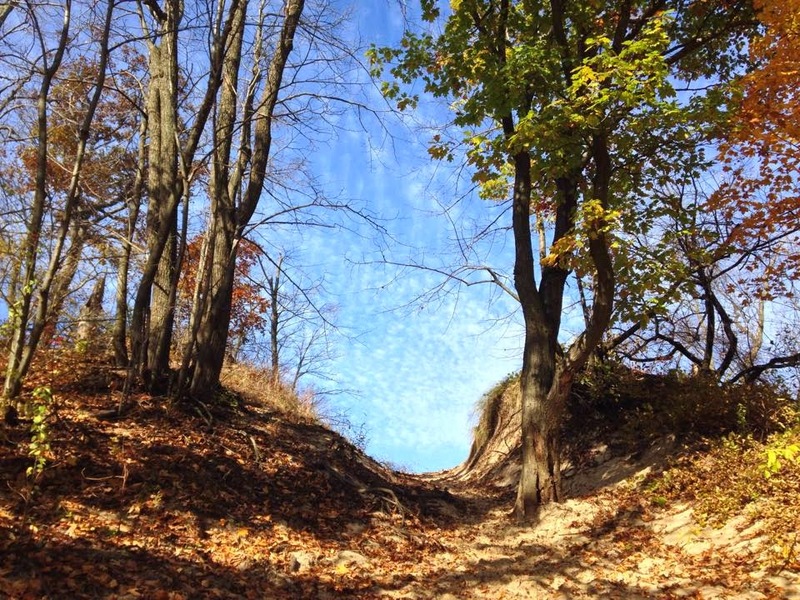 The weather was getting nicer and nicer and that took you out to the Dunes State Park more and more. Your beloved hikes on the beach looking for beach glass and hikes in the dunes with your camera were high on your list of ways to exercise. You were buckling down more and more on your eating and exercise with your daughter's wedding approaching in July. The first weekend in May was amazing. You walked the Indy Mini with your husband and you had a wonderful time together. You made a weekend out of it and you were so proud of each other. Bravo! The warm weather has brought back your self challenge from last year to walk at least a mile a day outside. You do love your walks. Well, June brought mother of the bride dress shopping and you were thrilled to find that you were two sizes smaller. That brought a huge smile to your face. You tried running once more and it still was too hard on your joints. With the tendonitis in one foot and the arthritis in the same foot and other knee, it just wasn't going to happen. With age came wisdom and you knew it was time to stop trying. You walk faster than you run anyway. June also brought back the daily five and six mile walks that you loved so much. July brought the proudest moment of your year as you watched your husband walk the last of your four daughters, your baby down the aisle. There was no holding back those happy tears as you watched them walk toward the man of her dreams. With all the wedding pressures over, summer became about relaxing and having fun and you remembered how much you enjoyed exercising in the pool. You relished in the last days of summer with play dates with the grandkids and long walks at the beach. You knew school was starting soon and you enjoyed every last minute you could. The pounds were still coming off and you were getting a little worried about how you would keep up the walking time and pace once school started again. You were back in school and things were going okay. Your plan to walk as soon as you got home from school was perfect. Working out in the pool wasn't happening as often though. By the time you got home from walking and got dinner on the table, it was getting too cool out. You went on a 42nd wedding anniversary trip to Sleeping Bear Dunes to hike and for the first time ever, it didn't rain on you. It was perfect! The colors were beautiful. Your walks at home were equally as pretty. The colors of fall were breathtaking. You had to rethink your meal plans now that the weather was beginning to cool off and grilling almost every night wasn't an option anymore. You figured it out though and stayed with healthy meals. Last year, you came in first place overall for the lady walkers at the Run Baby Baby Run 5k. This year, you did the same thing, but with an even better time. November brought the start of the holidays and your fears that you'd let them get the best of you with food and drink. You devised a plan to stay on track. Your walks had pretty much gone to the treadmill and you tried to do it without whining. You borrowed T25 with Shaun T from your son-in-law because you really love that work out. You asked for your own copy for Christmas. December brought your 61st birthday and you loved it. You have always loved birthdays, but these days you truly appreciate them. Too many people don't get to be that age and you know how blessed you are. You made it through the holidays with no weight gain. You were really proud of that. You had lots of other things to be proud of too. 1. You made it through a whole year of getting up early and making working out your first priority of the day. 2. You gave up caffeine in January and you were still off it. 3. You walked just over 1000 miles in 2015. That was awesome. 4. You dropped three dress sizes. 5. You have increased my stamina so much. The last time you did the 3 Dune Challenge in October, you only had to stop once to rest. So there, aren't you proud of yourself? You had an awesome year and don't show any signs of stopping. Look out 2016. Nancy is coming in strong and healthy. She's ready to take you on and she knows how to do it. Your 2015 was fantastic and I can't wait to see what happens in 2016. Wow! What an amazing, healthy year. You should definitely be proud. Erin, this is a future type post. It's what I'm hoping will happen in the year to come.